Indoor Firing Range Air Filters | Air Purification Inc. There are various quality regulations according to local and federal government agencies, including the U.S. Department of Labor. Outdoor firing ranges are not subject to these laws since the open air tends to remove all contaminants before they can reach levels that would affect people. An indoor firing range, however, tends to be completely enclosed to help muffle the noise of guns being fired. 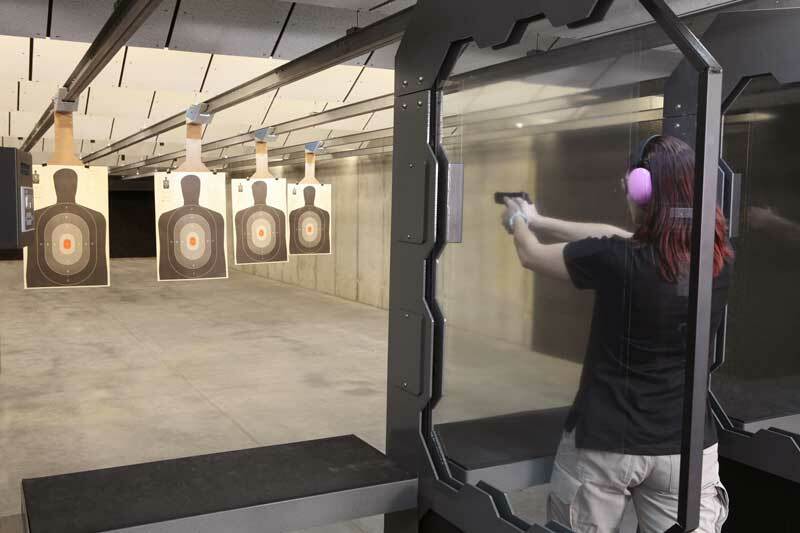 While these features are beneficial to the function and appeal of the gun range, they can also expose visitors and employees to toxic lead residue that comes from discharging firearms. Without an air purification system, a firing range can become a toxic area quickly due to the fact that the firing of each bullet from the gun releases lead into the air. Lead from the smoke of firearms will eventually reach levels that can cause symptoms detrimental to the health of anyone exposed. These symptoms can affect nearly every organ in the body, including the brain and kidneys. 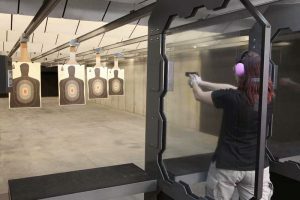 Without an air purification system, an indoor firing range can become a toxic area quickly since the firing of each bullet from the gun releases lead into the air. Lead from the smoke of firearms will eventually reach levels that can cause symptoms detrimental to the health of anyone exposed. These symptoms can affect nearly every organ in the body, including the brain and kidneys. Air Purification Inc. has products and solutions to help eliminate the risks associated with lead within indoor firing ranges. With over 236 years of combined experience of engineering and design, we have developed an air cleaning and dust collecting product line like nothing else on the market. Our expert team promises with full assurance that our systems are effective and follow regulatory standards. Once installed, the HEPA filter will start working through an air conditioning system to pull air in and out of the room. The filter, which is made of many microfibers, will trap lead particles in the fibers. A HEPA filter is essentially made of multiple layers of these fibers that are progressively thinner, filtering out smaller and smaller particles. The filter will keep these particles trapped while blowing out purified air almost entirely free of contaminants. These filtration systems require little maintenance and time on your part. You only need to replace the filter once every few months to ensure that the air coming out is always purified. It is important to use these systems not only to ensure the health of your employees and guests but to make sure that the firing range complies with federal and local laws. Air quality is something that we rarely think about yet is extremely important to protect your customers, employees, and business. At Air Purification Inc., we aim to make the process of ordering and maintaining your air filtration systems as simple and seamless as possible. Our top-notch customer service team is here to find the right product for your specific needs, with expert technicians to help you if any issue arises. With an expansive inventory of an endless range of manufacturers available, along with a money back guarantee, there is no reason to look elsewhere.